Leather and steel come together in one elegantly simple piece. 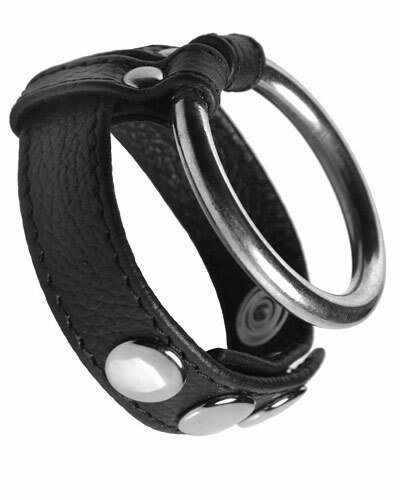 The steel ring will encircle your shaft, while the speed snap leather ring fits behind the scrotum. This multi-function erection enhancer offers superior blood retention, for a massive, girthy, long lasting erection. The snaps let you find your perfect fit, quickly and easily.